Premier album de son nouveau line-up, les 2 extraits sont impressionnants et bien barjots! Les cat lovers vont être aux anges. 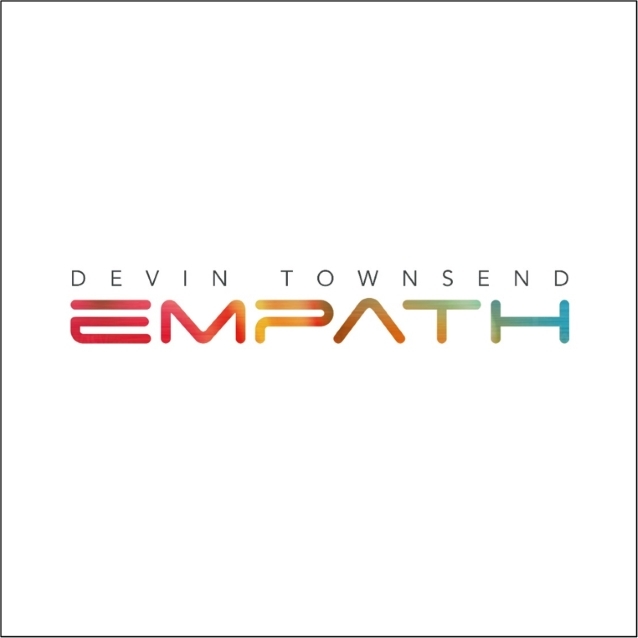 Devin comments: "Hello everybody, this is Devin Townsend and I would like to formally announce that after almost a year and a half of working, I have finished 'Empath'. Now, this record has taken me down a lot of very interesting psychological and technical avenues and the process was documented from the very get-go by a series of documentary videos that I have done that outline everything from the gestation of the idea to the actualisation of it, through all the existential ups and downs that went on. As such, this record is different to any record that I have released thus far, and trying to get people on board for what it is versus what it isn't, I think needs to be dealt with in a different way. "Stay tuned for the making of 'Empath' — the video series." Over the past few years, the success that Devin has slowly worked for has fortunately come with the power to control his own creative destiny. The recent successes with the DVD from a sold-out Royal Albert hall, or his 2012 "Retinal Circus", or last year's "Ocean Machine" live DVD with the Orchestra And Choir Of State Opera Plovdiv has put him in a position where with the new album "Empath", he will once and for all define himself as a musical force outside of any particular genre classification. On this album, Devin has decided to see what would happen if all the styles that make up his current interests were finally represented in one place. To finally shake the fear of expectation, and just do what it is he was meant to do creatively, "Empath", true to the name, is about allowing the audience a feeling for a variety of musical emotions. The musical dynamics represented on this single album are broad, challenging, and immense. To approach this sort of work with a long history of what makes heavy music "heavy," allows this to be done with a type of power rarely heard. Joining Devin on this album is Frank Zappa alumni Mike Keneally as music director, as well as Morgan Ågren (MATS AND MORGAN, FRANK ZAPPA, FREDRIK THORDENDAL), Anup Sastry (MONUMENTS, PERIPHERY), Samus Paulicelli (DECREPIT BIRTH, ABIGAIL WILLIAMS), Nathan Navarro, Elliot Desagnes, Steve Vai, Chad Kroeger, Anneke Van Giersbergen, Ché Aimee Dorval, Ryan Dhale and the Elektra Women's Choir. "Empath" will be released on limited 2 CD digipak (including an entire disc of bonus material), standard CD jewelcase, gatefold 180-gram 2LP vinyl + CD + LP-booklet and as digital album. L'album s'annonce sympa et bien barré ! A la première écoute je me suis dit : “c’est trop le Hellfest” id est “c’est un bordel sans nom, on comprend rien”. C’était comme si la chanson “Genesis” avait été multipliée par 10 et que Devin en avait fait un album. Seul “Why?” avec son petit côté symphonique, chanson calme et très fun, bien lumineuse, sortait du lot et permettait de respirer un peu. Je me suis aussi dit que Townsend n’est pas le genre de gaillard à sortir un disque juste pour nous éblouir ou nous ennuyer avec des titres déstructurés et techniques. En plus il l’avait déjà fait avec Deconstruction et même ici il avait une idée derrière la tête : prouver aux gens qui l’emmerder trop avec ça qu’il était toujours capable de faire du Strapping. Beh teh cet album tombe bien puisque “déconstruit” est un terme qui peut s’appliquer à Empath.